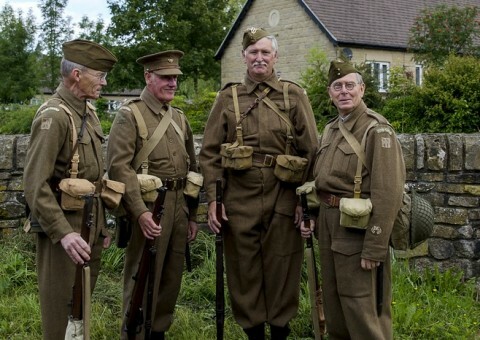 The Nidderdale Chamber of Trade are pleased to announce that the 1940s weekend is definitely going ahead this Saturday 15th & Sunday 16th August 2015! Hello, I would like information for your 1940′s weekend on 15-16th Aug 2015. particularly camping facilities. I am part of a group called “THE BLITZ PALS” we specialise in 1940′s authentic civilian dress and uniform and street dancing. Thank you for your enquiry. Camping is available at the Riverside Caravan Park https://www.nidderdale.co.uk/business/riverside-caravan-park/ and the Harefield Hall Hotel (basic facilities) also. If you have any specific information you require, you can contact me directly on mobile 07552769000. Thank you for your enquiry. The Saturday night dance is being organised by Harefield Hall http://harefieldhall.com/. Please be kind enough to contact them on 01423 711429 to reserve your tickets.